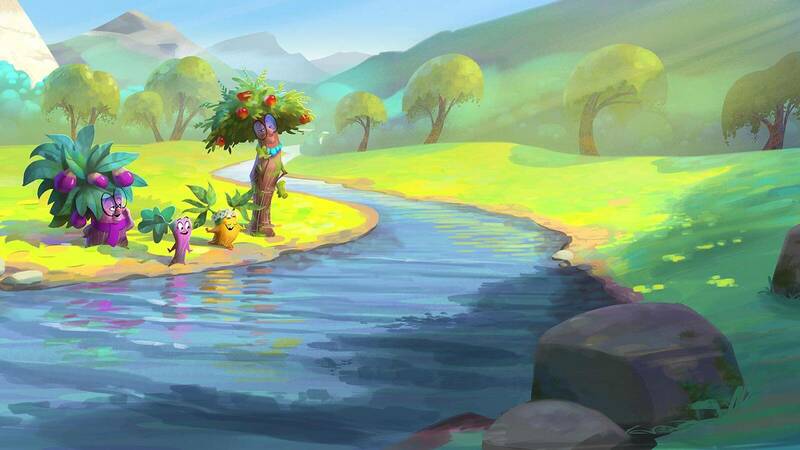 Come frolic in the grass with us, alongside the river bank of King’s Valley, as we laugh and learn from Franny Fig, Polly Pomegranate (Pom Pom for short) and their grandmothers, Nana and Rue Rue. 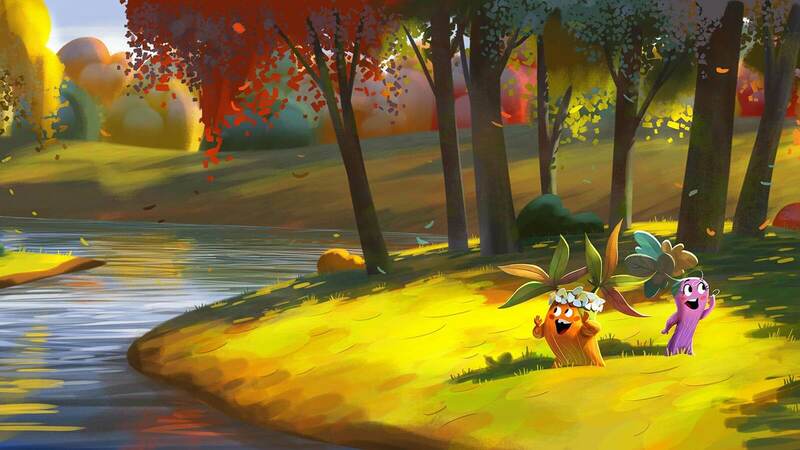 If we will only lend them our ears, these lively tree characters will teach us much about God the Father, God the Son, and God the Holy Spirit. Hover over each book to purchase or preview. Just think what the world would be like if EVERY child could hear the amazing news of Jesus Christ! Just think what the world would be like if these children also knew that they could have a relationship with their Father God and Holy Spirit to produce spiritual “fruit that lasts” and have lives that display the fruit of the Spirit! We LOVE joining with God’s heart to be a vessel to make this a reality! 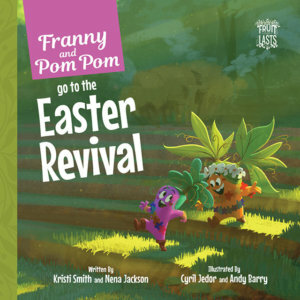 Our prayer and heart’s desire is for our fruit tree characters, Franny Fig and Pom Pom Pomegranate, to reach children all over the world to share this great news. 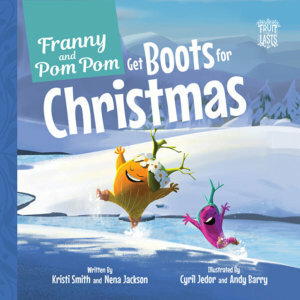 Oh, and we also enjoy knowing that these same children will experience the gift of laughter because Franny and Pom Pom are always up to something! 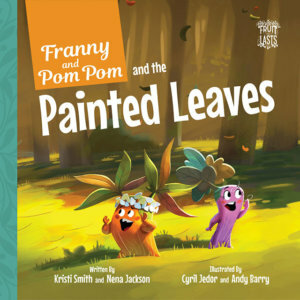 Share Franny Fig and Pom Pom Pomegranate with the children you love. You will be sharing a gift that lasts forever! p.s. We would love to share with you the message of how you can also produce fruit that lasts. Read the prayer of salvation ›. Best friends since the first grade, Nena Jackson and Kristi Smith Varner consistently created such a ruckus in one of their classes that their teacher made sure they weren’t in the same class together the next year. 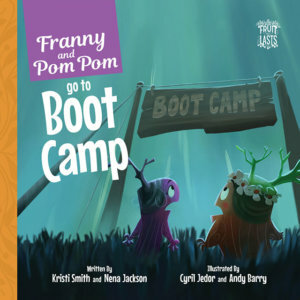 It was this kind of playfulness that inspired many of Franny and Pom Pom’s misadventures. 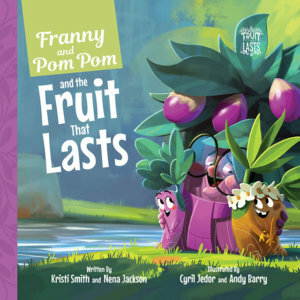 Now grown, they remain best friends and continue to expand the world of Franny and Pom Pom with the Fruit That Lasts book series and teaching a Vacation Bible School starring Franny and Pom Pom in Kenya, Africa. 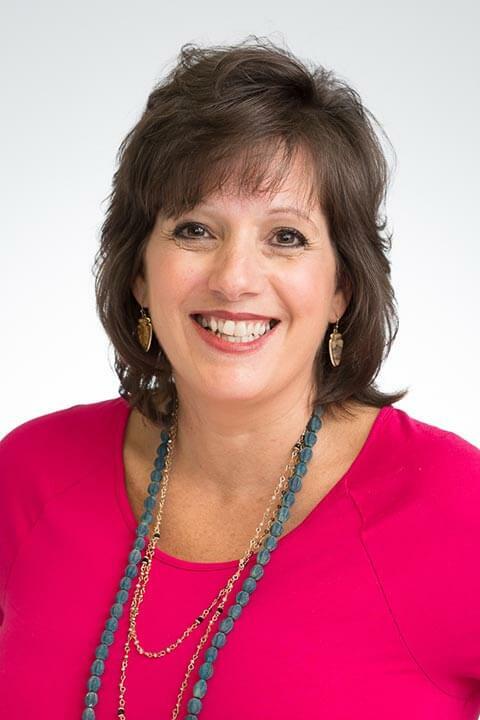 Nena is married to Scott and has four grown children. She lives in the beautiful and historical city of Charleston, South Carolina. Kristi is married to Darryl and has two grown children. 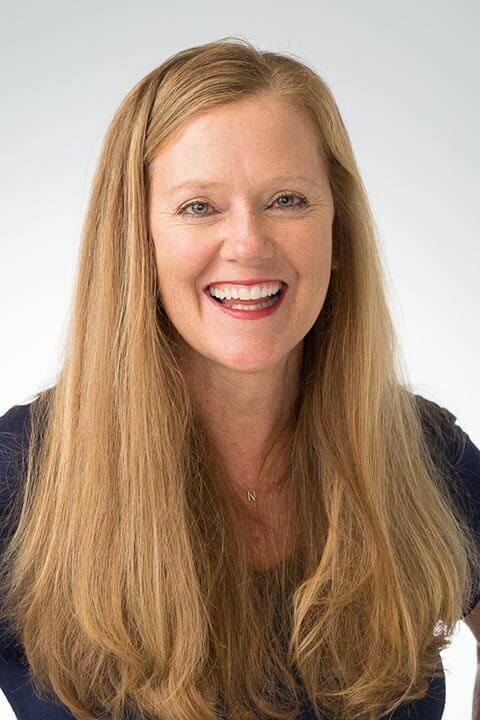 She continues to live in the revitalized and charming city of Birmingham, Alabama, where both authors grew up together. 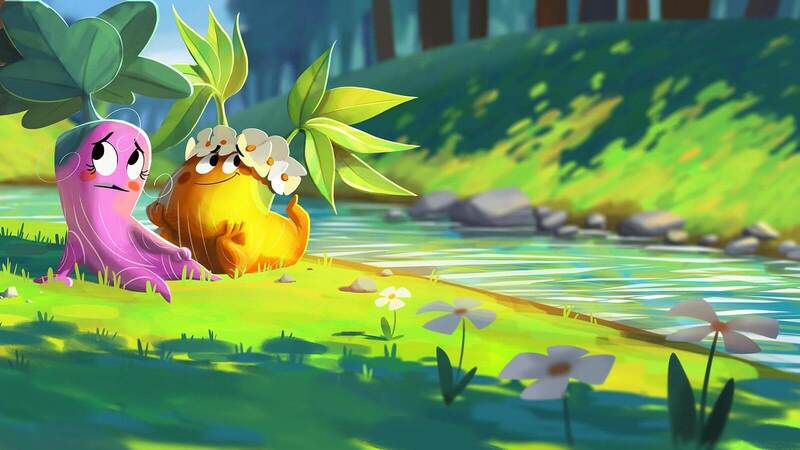 Cyril Jedor and Andy Barry are the artistic talent behind Moondog Animation Studio, working together to create fascinating worlds and beloved characters in several productions – now including children’s books. 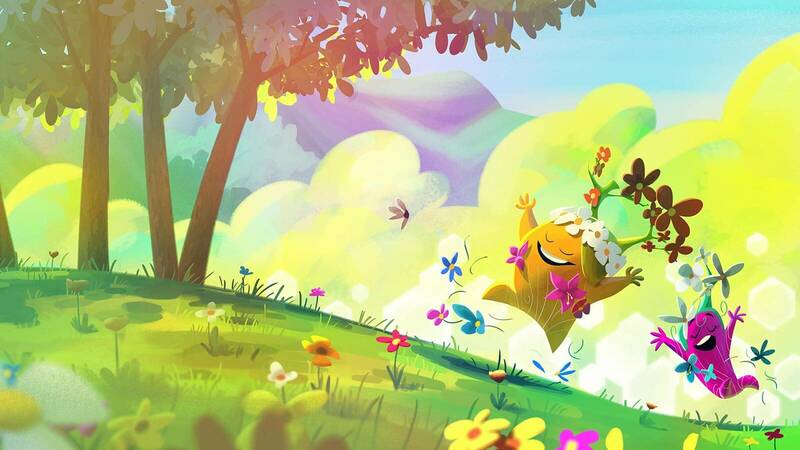 Cyril has been working in the animation industry since 2009, starting his career as a 3D layout artist at Pinka Studio in France, working on multiple TV series for Nickelodeon and France TV. 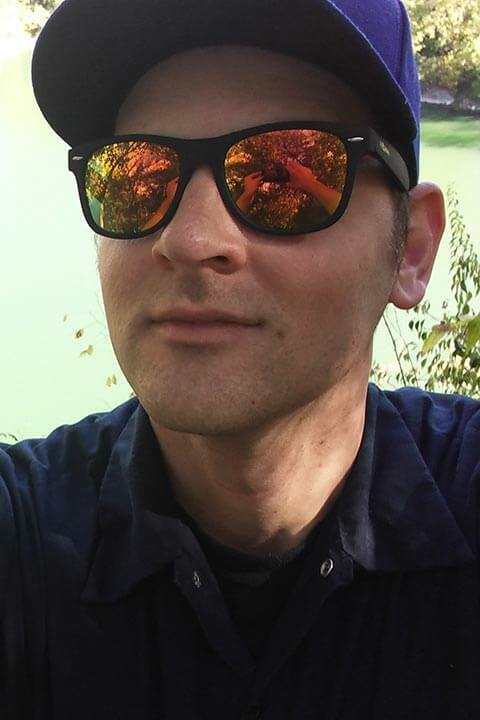 He is now an important part of the MOONDOG Animation team as a Concept Artist, specializing in concept art, matte painting and character design. 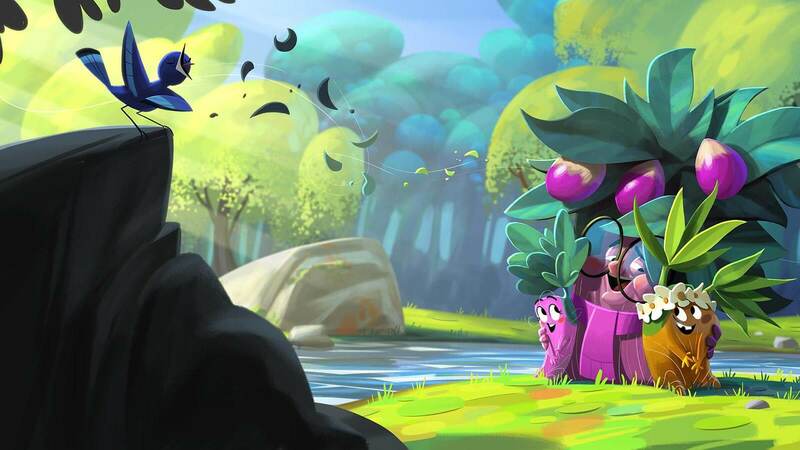 Andy has been a high-demand character designer since 2011, including work for Nickelodeon and DreamWorks. 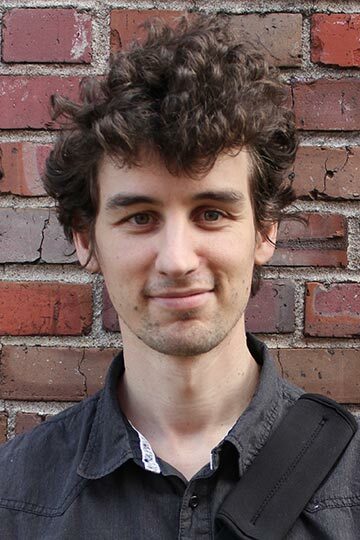 His specialty of bringing a sense of life to his characters with a very energetic and loose stroke makes him a solid part of the MOONDOG Animation team. 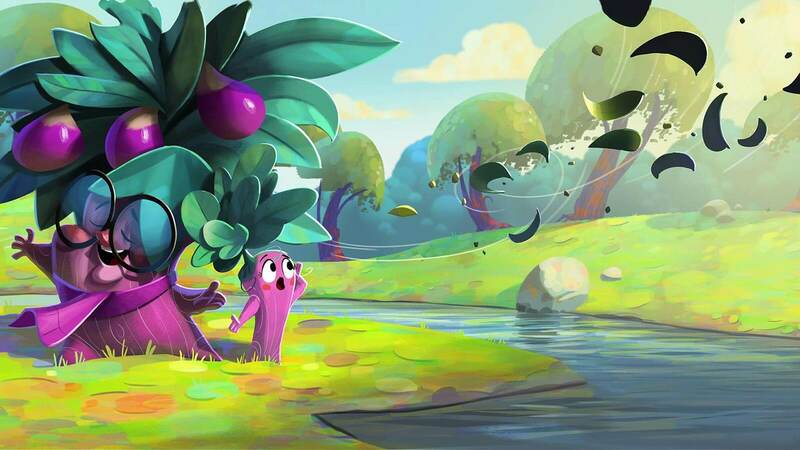 Learn how Fruit That Lasts and Moondog Animation came together to bring the characters and world of King’s Valley to life.